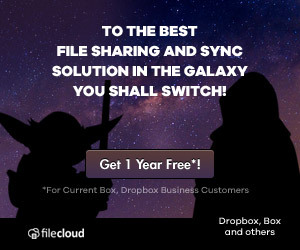 Dropbox is a popular public cloud service that allows you to synchronize files among different computers. But the caveat is that the lack of security, privacy and control over data. If you are looking for a secure alternative to dropbox you might want to check out Tonido. Tonido is an ultra simple personal server software that allows you to access and share your documents, photos, music through a web browser without uploading or worrying about storage limits. Share files, music, photos and videos straight from your PC. 1. With Tonido there are no real storage limits and you are only limited by your hard drive. Think Terabytes of storage! 2. Tonido offers 2-way file synchronization safely and securely with your own server without using the public cloud. 3. Tonido Sync is 4 times faster than Dropbox within LAN. 4. Get access to all your files in PC without keeping it all synced up. You can store documents where you want instead of specifying one folder. 5. Storage capacity is not equal on all machines you normally use. A netbook has a small HDD, so you can’t store 350 GB of DropBox stuff. But using Tonido Drive, you can access your remote Tonido server as a local drive from anywhere. 6. Completely Secure, 100% Private. Total control and ownership of your data. 8. Tonido automatically organizes all your media (Photos, Music and Videos). 9. Tonido Offers Live Video and Audio transcoding and streams media instantly to your mobile phones and TV. 10. Tonido is also a DLNA server.Using Tonido one can stream photos, music and videos to your DLNA compatible devices such as XBOX, PS3,XBMC media centers and SMART TVs.. Check out Tonido. You won’t be disappointed! I don’t agree with #4 and #6. Dropbox uses incremental syncing, meaning it only syncs the part of the file that changes, which makes it a lot faster than you make it to be in #5. Also, concerning #2, Dropbox is now beta testing selective sync so that you can choose which folders to sync. Your other reasons were very insightful though. It made me want to use Tonido again–if I can just set up port forwarding on my router :-(. You don’t need to do port forwarding, Tonido has built-in relaying that handles getting your data without you configuring any thing in your router. I think that nowadays dropbox and wuala as well are still the best approach to thinking about a backup solution. Your files with all security (well maybe dropbox a little less than wuala) in the cloud on third party storage server. Can you explain why? Don’t think Tonido backup in isolation. It is a true digital hub which provides apps to access and share all kinds of data: Documents, Photos, Music and much more. Backup app is just a topping. Tonido sets a new paradigm. No other providers offer that if you ask me. Dropbox is a great product, but does not stand a chance against Tonido’s applications and environment. Yep, port forwarding is a thing of the past with tonido as well. Uhmm! so what happens when someone breaks into your house, and steals the main computer or the TonidoPlug while you are busy viewing your stuff from somewhere on the other side of the world? I have not been able to get Tonido to run as a windows service using Launchpad, a very easy to use “run your .exe as a service” type program IE. – FireDaemon, on windows xp pro. To me, this makes the complete idea of Tonido in a windows enviroment unusuable and worthless. IE. – You log out of your computer and you now have absolutely zero access to anything. Might as well be uninstalled. The Tonido Plug probably works like mentioned, but as far as hosting your own server in a windows enviroment, or depending on your windows computer to be logged in at all times to actually have a thought of this working correctly, well that’s obviously not their focus. Unfortunately everything you read seems to be geared towards the Tonido Plug but not read like that. Looks wonderful, Want to test further, Epic Fail! Till fixed of course, then EPICALLY WHAT I’VE BEEN LOOKING FOR! PS. Actually buy the websharepro for uploading capabilites and support their efforts.